Nashville, Tenn. (Jan. 27, 2017) – Available today, Dove Award winning Bethel Music’s Brian & Jenn Johnson debut After All These Years, applauded as “beautiful offerings of worship” and “sure to be one of the top worship albums of the year.” Hitting No. 1 on the iTunes Christian Albums chart, the 10-track album comes more than 10 years since their last solo release together, featuring an 80-piece orchestra with every song cowritten by the duo. For more information on After All These Years, visit Brian & Jenn Johnson’s newly launched website, brianandjennjohnson.com. Brian & Jenn Johnson are co-founders of Bethel Music, WorshipU, and have been integral in the production of more than 15 albums that have influenced the culture of worship across the global church. They are committed to raising healthy family, cultivating community, and fostering unity among worship leaders from around the world. Brian & Jenn’s newest solo album, After All These Years is available now. Brian facilitates an atmosphere of faith in worship and has written anthems such as “Have it All”, “We Will Not Be Shaken” and “One Thing Remains,” which was awarded No. 1 song for ASCAP Christian Music and No. 1 Radio Single in 2013. 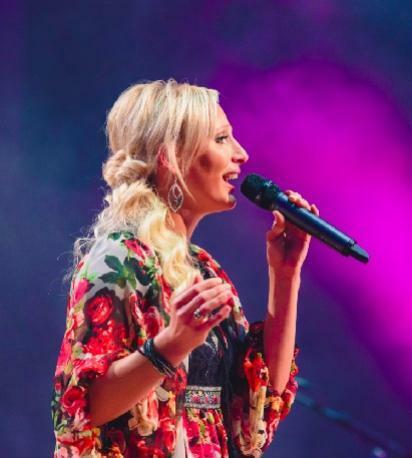 Known for her powerful vocals and unique prophetic sound, Jenn has authored songs such as, “In Over My Head”, “Come To Me”, “God I Look to You” and “O Taste and See.” Together they are passionate about raising up worshippers who take hold of their true identity and pursue intimacy with God above all else. Brian and Jenn reside in Redding, California, with their three wonderful children. Critics are praising the duo for “shining a spotlight on cultural injustices,” saying the album’s content is “important” while also calling the release “beautiful” for its poetic lyrics and intricate string arrangements. In step with the heart of the album, Gungor recently performed the band’s current single “See The Love” alongside Charity: Water CEO Scott Harrison at the organization’s annual fundraiser, which also featured Marcus Mumford (Mumford & Sons). The event raised more than $3 million to help provide clean water for those in need. Music discovery portal NewReleaseToday (NRT) has announced the world premiere of the music video of “Soldier,” the Number 1 hit single from emerging recording artist Sommer Floyd. 14, 2016. “Soldier” follows in the footsteps of “Ray of Light,” the title track from Floyd’s debut CD, which reached Number 1 on the CRC Contemporary Christian Music chart, as well as the CRC All Songs chart, during the week of October 10, 2016. Fans can view the video at newreleasetoday.com/videodetail. NewReleaseToday is also featuring a new front-page interview with Sommer, and is offering a free download of her latest radio single, “Drop and Run.” Fans can download “Drop and Run” at newreleasetoday.com/freemusic.php. The Ray of LIght CD released November 11, 2016, through Sommer Floyd Music. For more information about Sommer Floyd, “Soldier,” “Drop and Run” or Ray of Light, visit sommerfloyd.com. Ray of Light, was produced by Multi-Dove Award winner Steven V. Taylor (Michael W. Smith, Matt Redman, Veggie Tales) and was recorded at the legendary Dark Horse Recording Studio in Franklin, Tennessee. Speaking of hymns that are church staples, Sommer delivers her own unique take on the beloved classic, “Great Is Thy Faithfulness,” which is the only song on the project that she didn’t write. “The words to this hymn are so powerful that I wanted to include it on the album,” she explains. Sommer’s fetching vocals, ear-pleasing melodies and spiritually mature lyrics caught the ear of her producer, Steven V. Taylor, and she soon found herself in Franklin, Tennessee with some of Nashville’s finest musicians, recording her debut CD at the legendary Dark Horse Studios. For more information on Sommer Floyd and Ray of Light, visit sommerfloyd.com. 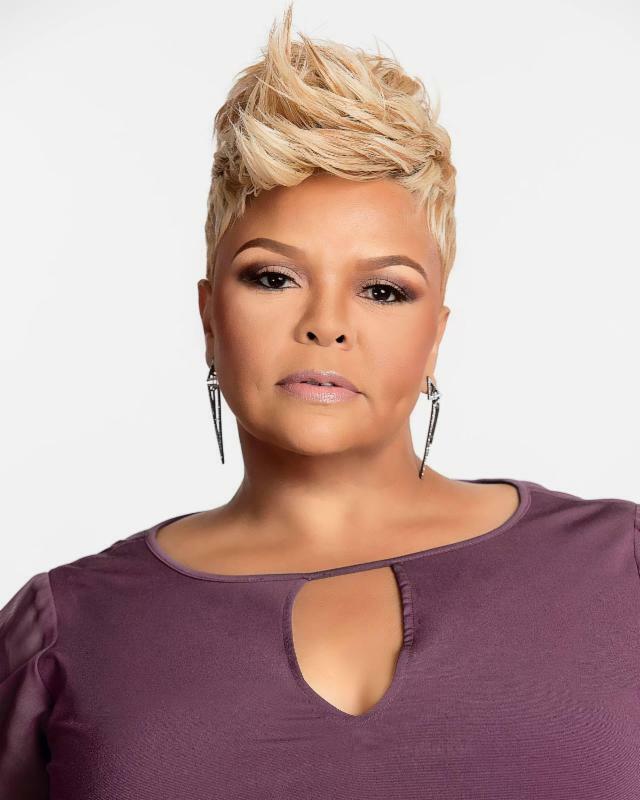 DALLAS, TEXAS (Jan. 24, 2017) – Platinum Recording Artist Tamela Mann received nine nominations for the upcoming 32nd Annual Stellar Gospel Music Awards. The powerhouse vocalist is nominated for Artist of the Year, Albertina Walker Female Vocalist of the Year, CD and Traditional CD of the Year, Producer of the Year, Song of the Year, Urban/Inspirational Single or Performance of the Year and Traditional Female Vocalist of the Year. Tamela’s album, One Way, is nominated for Recorded Music Packaging of the Year. The epic night in Gospel music will be held once again at the Las Vegas Orleans Arena on Saturday, March 25, 2017. The telecast will premiere on TV One Sunday, April 9 at 7 p.m. ET with encores at 9 p.m. and 11 p.m. ET. In addition, the Stellar Awards will air in national broadcast syndication on 170 stations in over 150 markets around the country from April 14 – May 7, 2017. Tamela will be co-hosting the Super Bowl Gospel Celebration in Houston, TX on February 3, 2017 with her husband, comedian David Mann. The event, taped live by BET, will take place at Lakewood Church. Tickets are $25 and can be purchased on Ticketmaster. One Way marks Tamela’s fourth solo studio album and is executively produced by Tamela, her husband and business partner, actor David Mann and son David Mann Jr. One Way is produced by the acclaimed Myron Butler and David Mann. The album’s all-star guest producer credits, in addition to Franklin, include Eric Dawkins, King Logan, Shaun Martin and Timbaland. “God Provides,” written and produced by Kirk Franklin, is the sophomore single from Tamela’s Billboard multi-week chart-topping No. 1 album One Way, and held the No. 1 slot on the Billboard Gospel Radio chart multiple weeks. Pre-Order Back To Life Now! 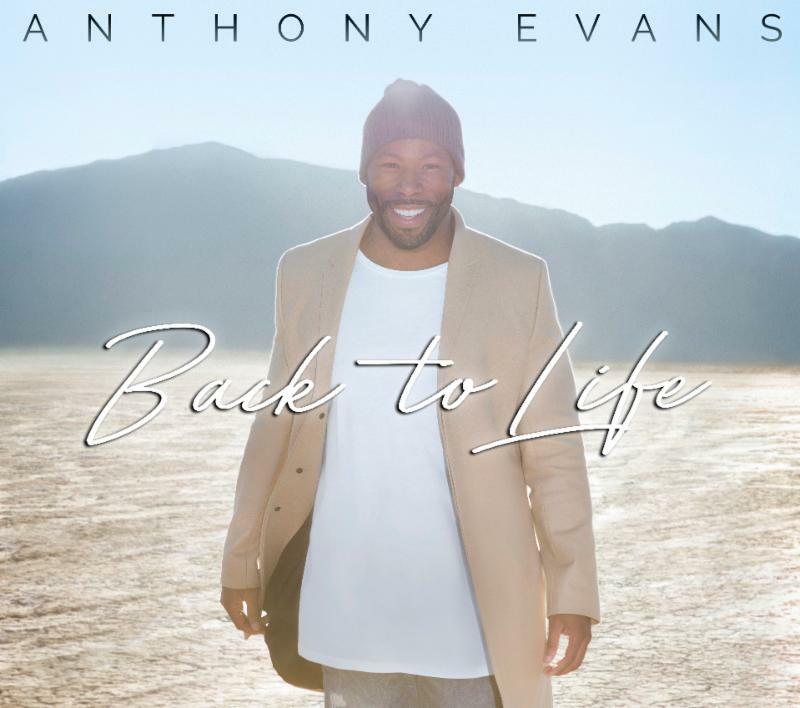 LOS ANGELES, CA (January 25, 2017) — Recording Artist and Worship Leader Anthony Evans’ debuts his highly anticipated new music video, “See You Again,” now at Charisma.com, Beliefnet.com and NewReleaseToday.com. Anthony Evans will be hitting the road this spring on The FerVent Tour. The FerVent Tour, presented and produced by Jerry Shirer, Going Beyond Ministries and Evans’ own company Sherman James Productions, is an evening of dynamic teaching from New York Times Best-Selling Author, Speaker and Lead Actress in the hit film War Room, Priscilla Shirer, and with worship by Evans. 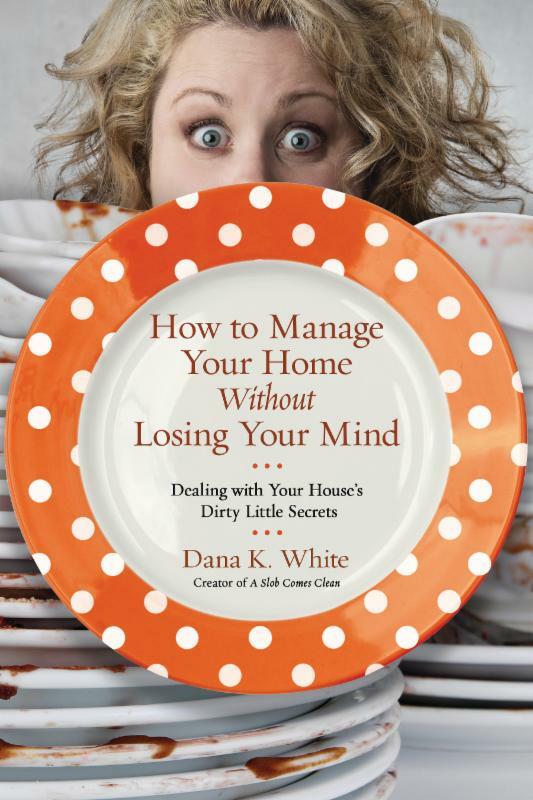 For more information on The FerVent Tour, visit: www.TheFerventTour.com. Nashville, Tenn. (Jan. 24, 2017) – The nation’s largest outdoor Christian music festival, CREATION FESTIVAL NORTHEAST, became the exclusive host for mainstream media news outlet VICE MEDIA as they set out to produce the documentary film feature “I Saw The Light” on Christian Music in the Festival environment. NOISEY, the online daily music channel of VICE Media, traveled to the Creation Music Festival to film the documentary and catch a glimpse of the inner workings behind the Christian music industry. Watch the full-length documentary, here. Taking viewers on a journey with Youth Pastor Steve Price and his youth group, “I Saw The Light” follows the troop on an adventure from the outskirts of Baltimore to the middle of Pennsylvania in God’s Country. The documentary finds the characters packing up to attend Creation Festival, following the group all the way through the mosh-pit to the candle lighting ceremony. The 35-minute piece—which also inspired an article for VICE’s music issue—is produced by VICE’s Chloe Campion and hosted by Noisey’s editor-in-chief, Eric Sundermann. 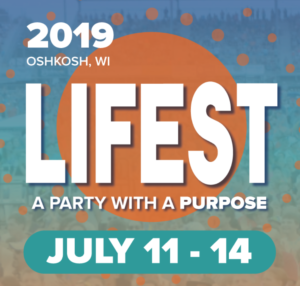 Through conversations with GRAMMY® winning pop duo for KING & COUNTRY and rapper Andy Mineo—along with speakers from the 50,000+ attended festival—the documentary takes a thoughtful look at the world of Christian music, belief, growing up, and Jesus Christ. Noisey is no stranger to the music industry with VICE TV, music channels, and a social media following in the millions. “I Saw The Light” has become one of the first inclusions of Contemporary Christian music on the website. The superb narration and commentary of Eric Sundermann and the incredible production work of Chloe Campion and her crew, places the viewer right in the moment. The truth-saturated testimonies of the youth group members and attendees interviewed are nothing short of life-giving. For more information on “I Saw The Light,” visit: www.creationfest.com. Creation’s Mission is to bring TRIBUTE TO OUR CREATOR, by providing evangelistic events that offer kids of all ages opportunity to gather in community, to worship, experience fellowship, enjoy God’s beautiful Creation and to encounter life-changing moments. We hope to inspire lasting and active change in our hearts through the love of Christ by His Holy Spirit, walked out through discipleship in the local church. Critically lauded singers, songwriters and authors Audrey Assad and Andrew Peterson launch “The Edge of Dawn Tour” Feb. 25 in Richardson, TX. The multi-state, multi-denominational church tour will run through late March and will feature new music and fan favorites from each of these artist’s celebrated song repertoire. Assad, whose cover of Pink Floyd’s “Wish You Were Here” was featured on the fall season opener of NBC’s hit show Timeless at 41:45 into the episode, will play songs on this tour from her five-star acclaimed and No. 1 selling Adult Contemporary (CMTA / SoundScan) album, Inheritance, released last year on Fortunate Fall Records with Tone Tree Music distribution. The album, as well as the Inheritance Deluxe Edition released last fall, features a collection of hymns and original songs that both pay homage to her childhood heritage and to her Catholic faith and charismatic spirituality. In addition to the title track, The Burning Edge of Dawn features a song written for Peterson’s wife, Jamie (“My One Safe Place”), and his daughter, Skye (“Be Kind To Yourself”), while “The Rain Keeps Falling” features singer-songwriter Ellie Holcomb. Two of the songs include background vocals from Caleb Chapman of the band Colony House. For all the latest tour dates and more information regarding Audrey Assad and Andrew Peterson, go to www.audreyassad.com and www.andrew-peterson.com. Nashville, Tenn. (Jan. 23, 2017) – On the heels of their RIAA Certified Gold and GRAMMY® acclaimed Welcome To The New (2014), MercyMe will release LIFER (FAIR TRADE SERVICES) on Mar. 31, 2017. Since their debut in 2001, GRAMMY®-nominated, multiple American Music Award and Dove Award winners MercyMe have sold more than 9 million units in CD, single and DVD sales, garnered 27 No. 1 multi-format Christian radio singles and four consecutive mainstream radio hits with “I Can Only Imagine,” (No. 4 AC/Top 25 on Top 40/Hot AC), “Here With Me” (No. 4 AC), “Homesick” (Top 10 AC) and “So Long Self.” Their radio success has continued with recent singles “Flawless” (No. 1 for 15 weeks) and “Greater” (No. 1 for 16 weeks), landing them the Top Christian Airplay Artist spot on Billboard’s 2015 Year End charts. MercyMe made history in 2014 as “I Can Only Imagine” surpassed 2 million digital downloads, making it the first song in Christian music to go platinum and double-platinum in the digital domain. In 2009, Billboard named MercyMe’s “Word Of God Speak” the No. 1 Song of The Decade and the group the No. 1 Artist of the Decade in both the Christian Songs and Christian AC Songs categories, recognizing them as one of the industry’s most notable talents. They have sold out venues throughout the US and Canada, including Radio City Music Hall, and have appeared on the Macy’s Thanksgiving Day Parade, The Today Show, CBS This Morning, The Tonight Show with Jay Leno, FOX New Channel’s FOX & Friends, CNN, ABC News and in the pages of Entertainment Weekly, The New York Times, USA Today and more. Their latest project MercyMe, It’s Christmas! (2015) debuted at No. 1 on Billboard’s Holiday Albums chart and became an instant Christmas classic. MercyMe’s eighth studio album, Welcome To The New, garnered two GRAMMY® nods, four radio hits and continues to be a top selling title. LIFER will be available on Mar. 31, 2017. Delivering 17 albums to date (not including compilations) that have gathered 16 No. 1 radio hits, 5 Grammy® nominations, 7 Dove Awards, 3 RIAA Gold Records and 3 RIAA Platinum records, Velasquez’s upcoming vertical, Godward songs of worship on Trust (Confío) also mark her first project from Integrity Music. It is further Velasquez’s first worship album, which was inspired by her youngest son, Soren, born in 2009. Awakened in the middle of the night by Soren who was having “bad dreams,” Velasquez consoled him and decided to play a song she recently received from Integrity Music, “God Who Moves The Mountains,” written by David Leonard (All Sons & Daughters), Dustin Smith and Richie Fike. What followed was a moving time of worship for mom and son that chased away the fear. Produced by Leonard and Chris Bevins (Salvador, Phillips Craig & Dean), Trust features “God Who Moves The Mountains,” as well as new songs penned by Velasquez and her husband Nic Gonzales (lead singer of Salvador) along with songs by Martin Smith (Delirious? ), Dove Award winner Michael Farren and more. Notable tracks include “Rest,” “It’s Never As Dark As It Seems To Be” and “Trust You,” which Velasquez cowrote with Aruna Abrams, James Slater and Bobby Hamrick. This song sparked the project’s title and captures the core message of this new album. Taking that steadfast ‘trust’ into 2017, Velasquez is currently working on a book, a clothing line that raises support for Autism related causes, and she will be featured in two Christian films releasing in 2017. 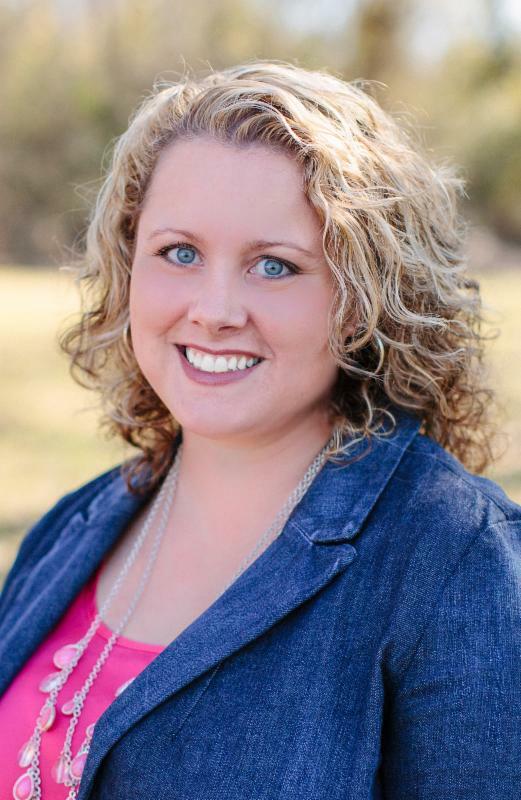 In all this, and with her concerts around the world, Jaci’s passion is to serve God with the gifts He has given her. Velasquez has three RIAA® certified Platinum® albums, three RIAA certified Gold® albums, 16 No. 1 singles, 6 more singles in the top 10, 7 Dove Awards, 2 Latin Grammy® Award nominations, 3 Grammy Award nominations, has graced more than 50 magazine covers including Teen People, Latin Girl, Teen Beat, Parade, and People In Espanol, has appeared in ads for Pepsi, Doritos and Target, and co-hosted for nearly seven years Salem Broadcasting Network’s “The Family Friendly Morning Show with Doug and Jaci Velasquez” on Today’s CMR Network with more than 1.5 million daily listeners. In addition to writing, recording, international touring, and serving as an advocate for Autism awareness, Velasquez has been featured in five faith-based films since 2011, hosted the SESAC Christian Music Awards, GMA IMMERSE, and has been internationally active in a plethora of the music industry’s niches since her impressive immergence as an award-winning artist at the age of 16.